The illegal poisoning of a White-tailed Eagle in Connemara has been condemned by Minister for Arts, Heritage and the Gaeltacht, Heather Humphreys. The six-year-old female bird was discovered dead in its nest by a conservation ranger in early April and was recovered by a team from the Department’s National Parks and Wildlife Service (NPWS), the Department said. This is the 13th confirmed poisoning of a White-tailed Eagle in Ireland since the reintroduction project began in 2007, the Department said. Toxicology tests on the bird have now revealed that the bird was poisoned, it said. As part of a reintroduction programme, the Department said the White-tailed Eagle was released in Killarney National Park in 2009. 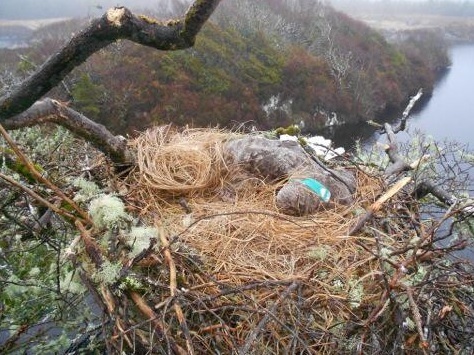 It says the bird settled in Connemara in 2012, where she paired up with a male and while her eggs failed to hatch last year, the post-mortem showed the bird contained two developing eggs and so was within days of laying eggs. Minister Humpherys said that the loss of this breeding female comes as a major blow to the reintroduction project for White-tailed Eagles. “This is a very serious incident as the killing of this breeding female has effectively put an end to any breeding attempt of this beautiful species in West Galway for at least another five years. It is particularly disappointing considering this bird was due to lay eggs shortly,” she said. The Minister said that it is believed that the poison is generally intended to kill foxes or crows, but is leading to the poisoning of these rare birds. “Poisoning remains the greatest threat to the re-introduction of White-tailed Eagles here and I would remind the public that the use of poison to kill animals such as foxes or crows has been banned since 2010,” she said.